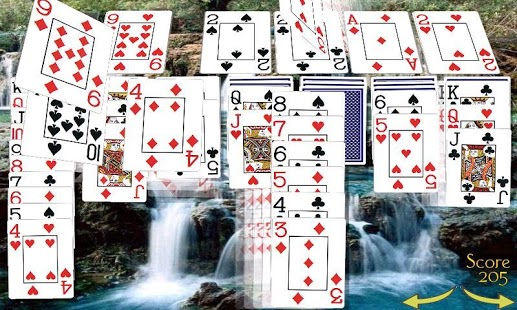 The original and best version of Klondike Solitaire 3D, also called Patience! It features amazing graphics, as you can choose your own images! Game solutions are available if you get stuck! 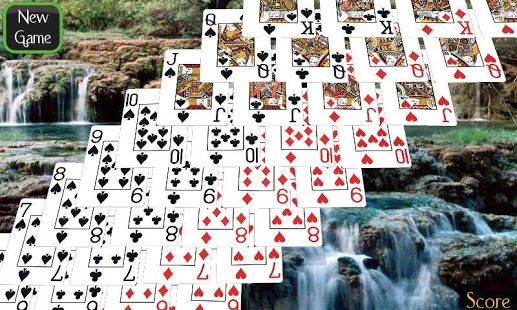 Move the cards easily with drag and drop, or point and click. It features full undo and redo history with the back and forwards buttons, you can even replay the game you just won. Keeps normal or Vegas scoring, with an online score board you can post to (hosted by Heyzap). 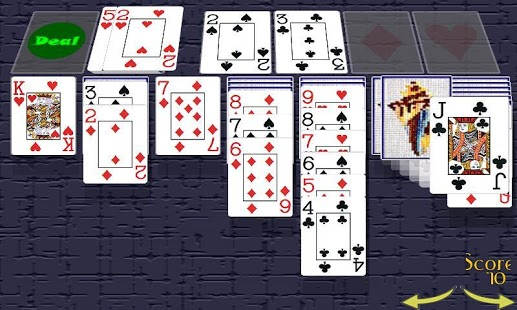 The game animates from the shuffle through to the play and a mesmerising winning sequence where you can repeatedly blow up the cards! The free version is ad sponsored (although they can be hidden). There are NO full screen ads, NO video ads, NO interstitial ads, NO pop-ups or pop-unders and NO notification or bookmark or desktop shortcut ads – I hate all those and I'm sure you do too. Just the smallest banner the ad companies offer in the bottom left corner which hides when the cards come too close, try it! The Android permissions are only for the advertising. The Pro version requires no permissions, has no advertising and includes all the solutions.